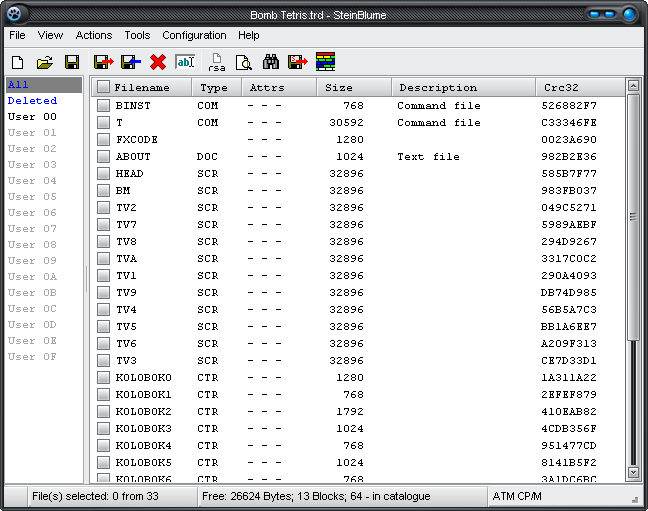 SteinBlume (ex ATM CP/M Explorer) is a fully featured utility for work with CP/M Disk Image files as an archives with simple and familiar file browser interface. 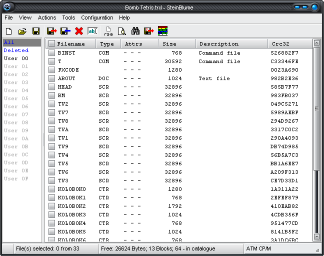 SteinBlume supports different formats of CP/M Disk Image files. And the number of supported formats is increased. 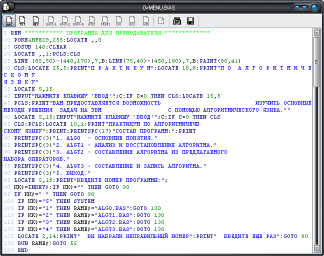 SteinBlume also allows you to work with the user CP/M Disk Image file formats for user-defined parameters. 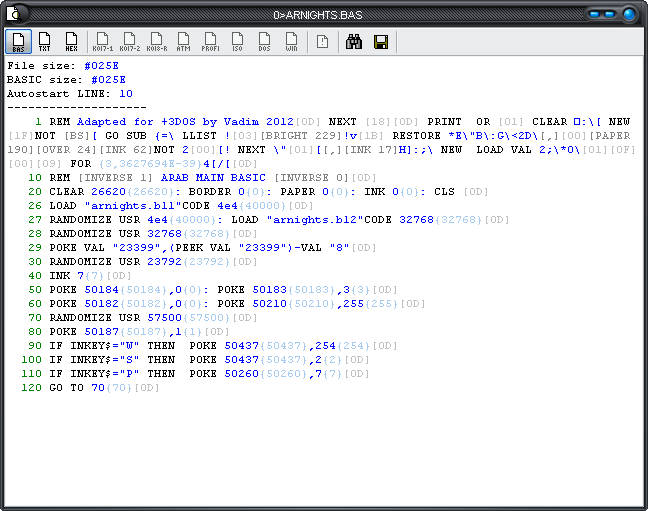 Continuous feedback allows users to constantly update the list of supported formats. We are improving SteinBlume TOGETHER with the USERS. 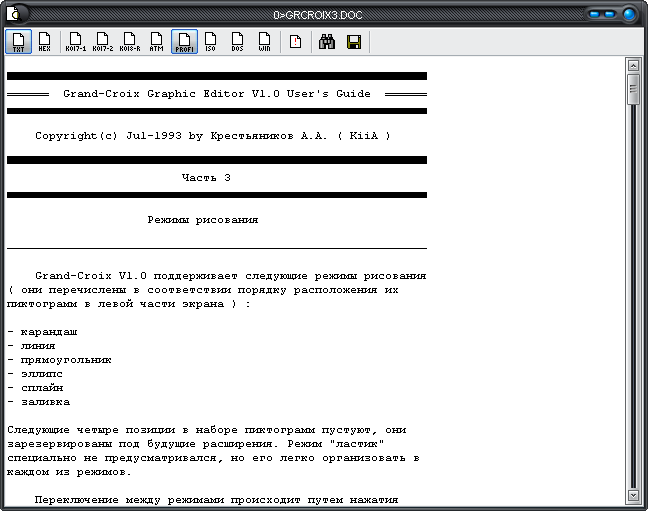 If you want to translate SteinBlume into your native language, please contact me (speccy@era-cg.su). 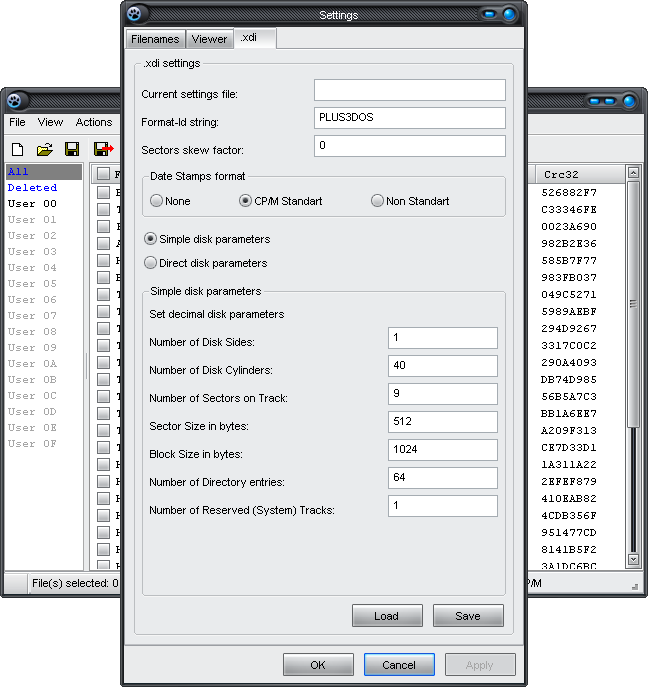 save system tracks as file. 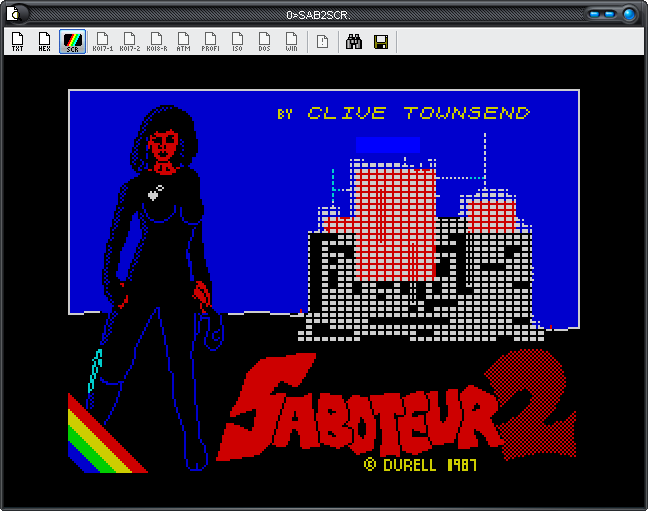 .dsk - Amtrad CPC, Amstrad PCW, Spectrum +3 DOS Disk Image(Experimentally). 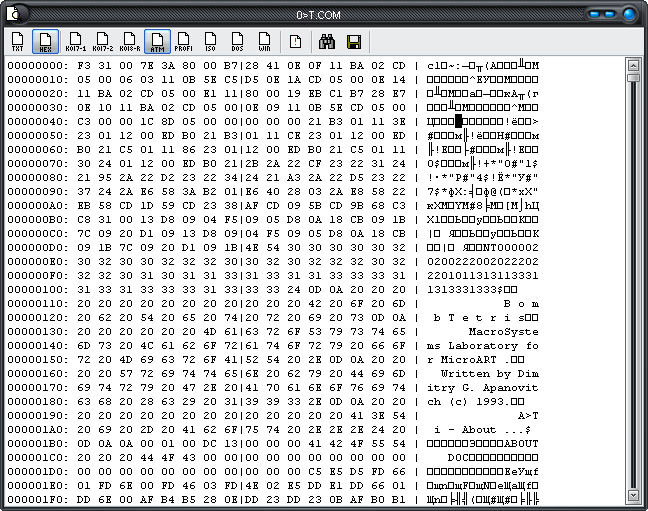 CP/M Disk Image file open in SteinBlume main windows. 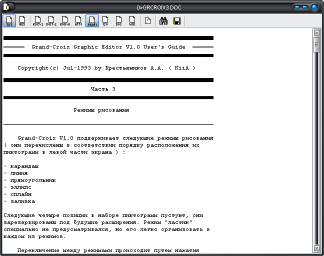 Lister (internal file viewer) in Text mode. 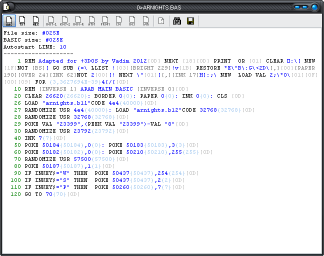 ZX BASIC listing view in Lister (from +3 DOS Disk Image). 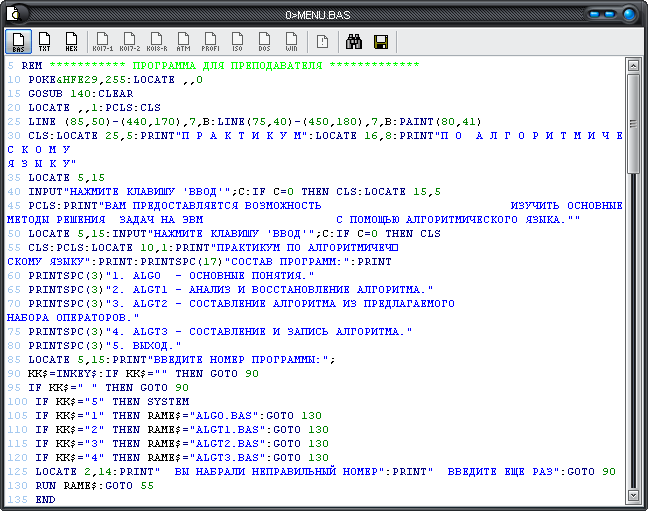 Korvet (PK8020) BASIC listing view in Lister. 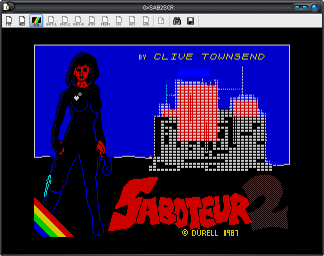 ZX Spectrum screen dump view in Lister (from +3 DOS Disk Image). Korvet .ZAS picture view in Lister. 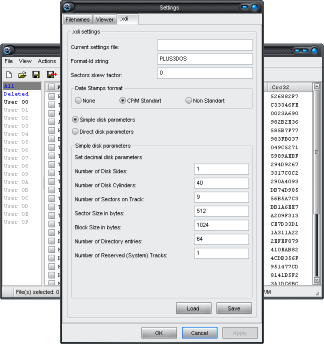 The SteinBlume .xdi settings dialog. 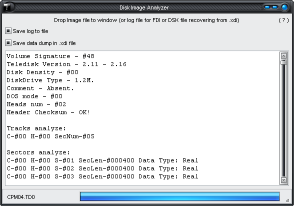 Additional tool - Disk Image Analyzer. 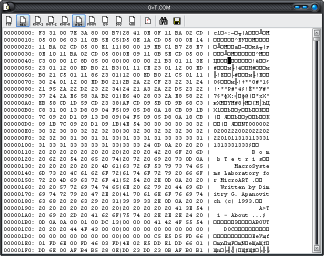 (Additional Disk Image Analyzer and KDI Checksum Reader utilities).